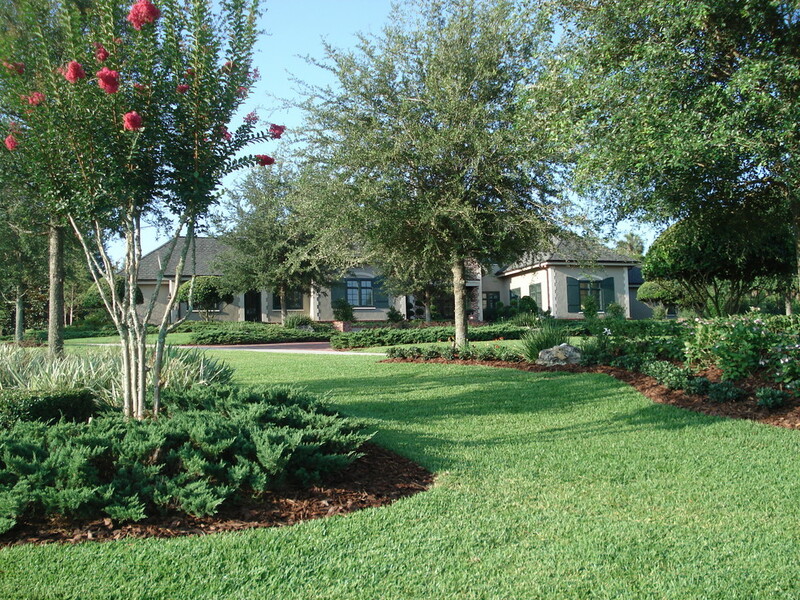 Before you hire a lawn care service in Tampa, check out our list of five landscape designs that’ll help you stand out in the neighborhood. Whether you’re looking for peace and serenity or planning your next backyard bash, we have the designs to get those creative juices flowing. Asian-influenced landscape designs, like authentic meditation gardens, encourage peace and harmony, and produce a balance of energy in any given space to assure health and good fortune for the people inhabiting it. 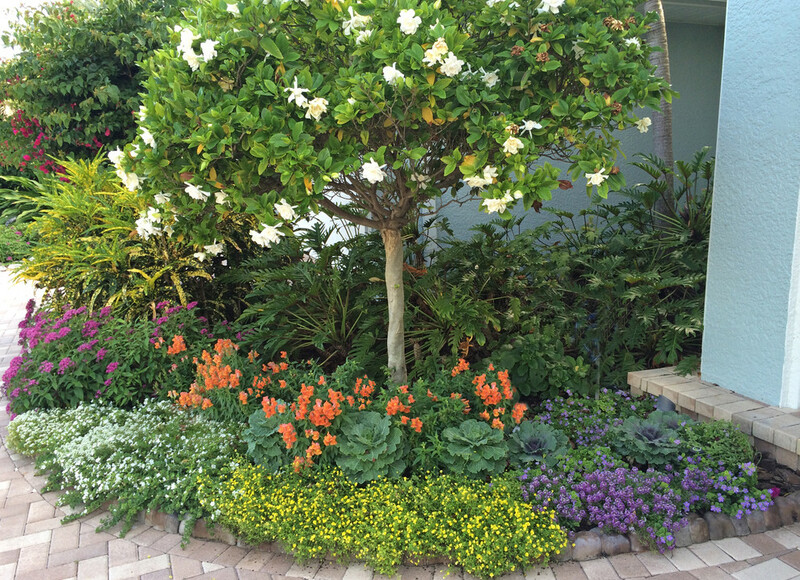 The selection and arrangement of the various colors and shapes really makes this Gardenia (the small tree) pop. 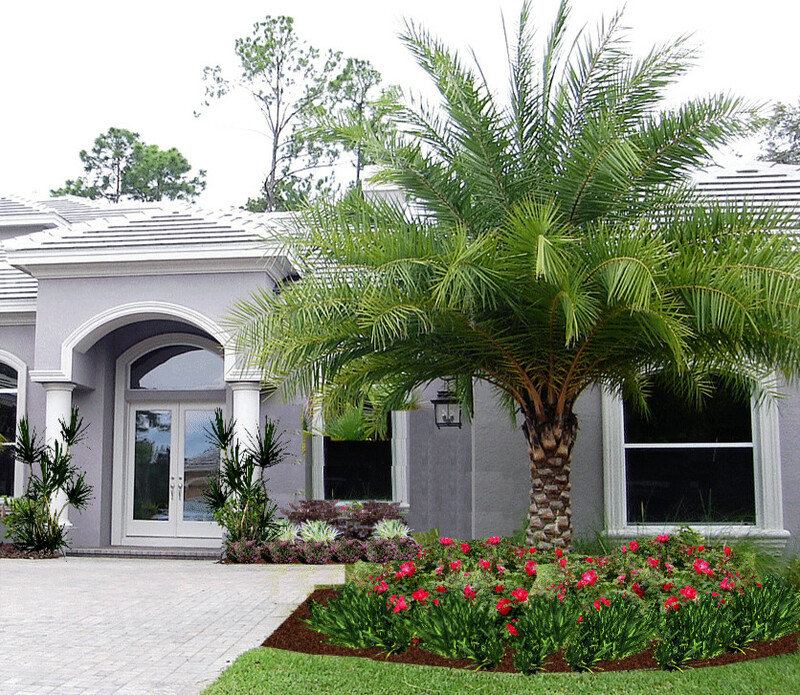 It’s a perfect design for anyone in the Tampa Bay area to revamp a home entrance. 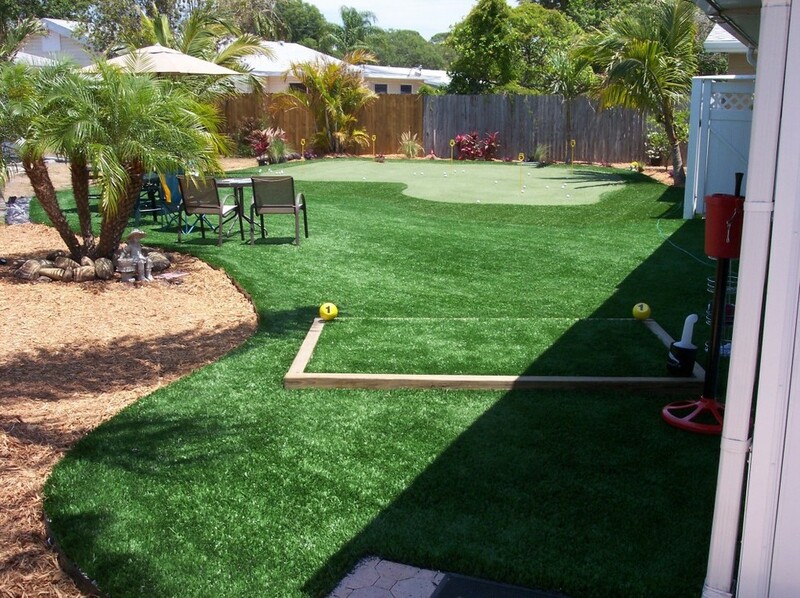 If you’re a weekend warrior and golfing is your thing, you may want to think about installing your very own personal putting green, tee box and large grass area. This is a fun way to turn your backyard into an adult playground. The underground pool toward the back of the photo is covered by a rocky deck with a siphon that circulates the water to the waterfall on the other side of the bridge. The two dry creeks, one abutting each end of the recirculating stream, are fully functional. The constant stream of flowing water is pleasant to the ears, and the natural look is easy on the eyes. Combining the elements of design, color, contrast and balance, this classic estate look is homey and welcoming. The maintenance is fairly easy to keep up with and is perfect for the homeowner who’s looking for optimal curb appeal. And those are our picks! Make sure to share this post or offer your thoughts below. Need help tending to your lawn? Visit our Tampa lawn care page for more info! 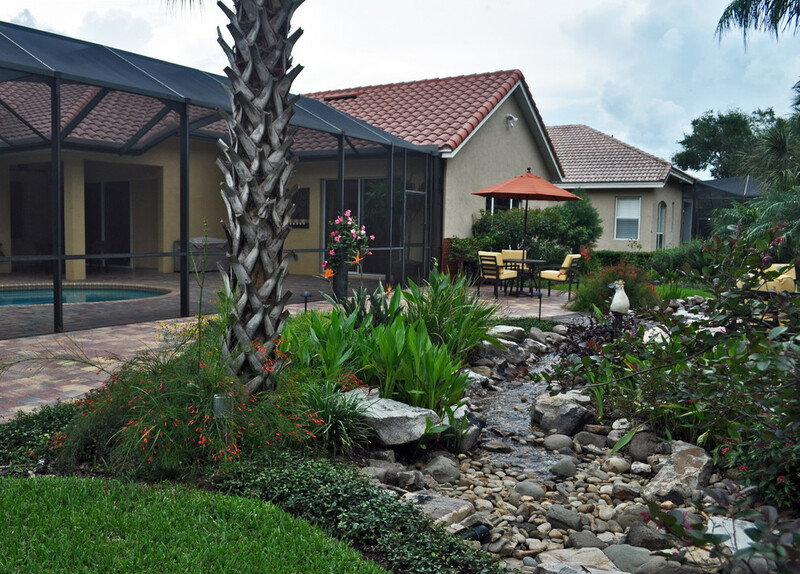 In addition to Tampa, we also provide lawn care service in Spring Hill, St. Petersburg, Clearwater, and Ruskin.